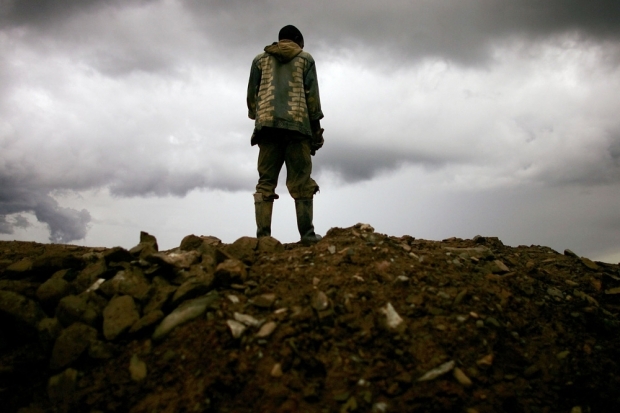 A miner stands on a mound of dirt at an abandoned industrial mine in Mongbwalu, Congo. The controversial Sino-Congolese mining deal Sicomines has been revived thanks to new financing from China's Exim Bank. This is one of Beijing's biggest natural resources-for-infrastructure deals in Africa. If successful, the deal would net millions of tons in iron ore and cobalt for the Chinese while providing the Congolese with desperately needed infrastructure. Johanna Jansson is widely regarded as the leading scholar on Sino-DRC relations, and the Sicomines deal in particular. In this episode, she shares her views on why the deal came back to life now and why it's so important for both countries.